I sported this look two weekends ago when I went to Lydia's to help clean out her closet. Man, that girl has a lot of clothes! ;) We got rid of a ton and her closet was still stuffed, but it was definitely a good start. After that we headed to the thrift store to drop off some of her stuff and then we took some photos in the town center. Fall is always a great time of year for photos, even if it's a little chilly. 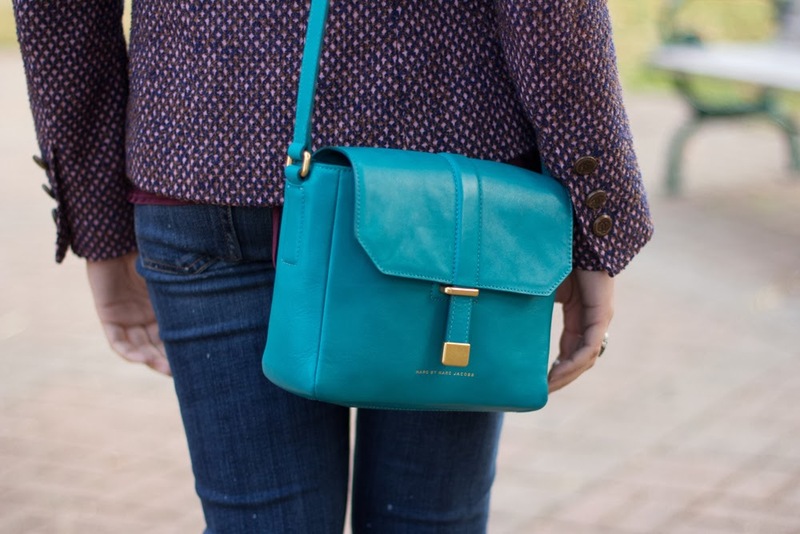 I am so in love with your turquoise bag.... it looks gorgeous with your oxblood booties as well. Ooh that's a pretty shade of blue! Aww you are such a nice friend, I really wish we'd lived closer it would be awesome to help each other cleaning closets and stuff like that. 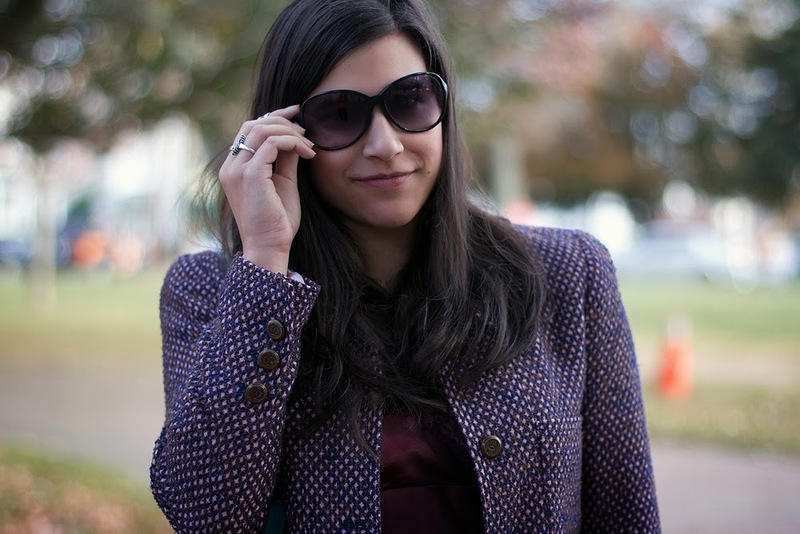 I agree with you, fall is a great time for outfit shootings, the weather is gorgeous, and so is that jacket, so very sophisticated! I love those cute boots - and how nice of you to help with the great closet clean out! 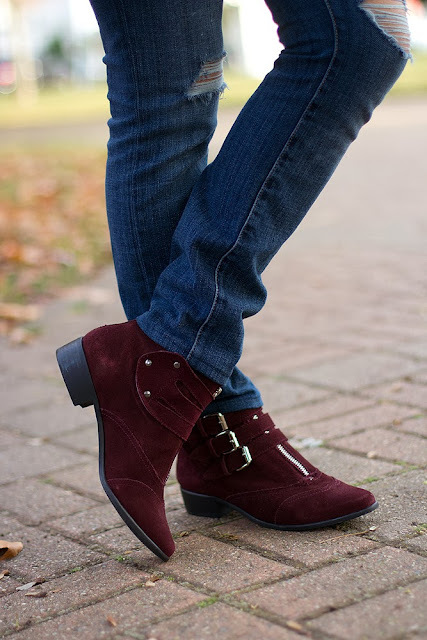 I am loving the burgundy accents, especially the boots. That teal colored bag looks amazing with the color and outfit. You look beautiful. I love your blazer. Burgundy is one of my favorite colors for Fall. I love the bag, it's the perfect size and shape! Beautiful. The tones in this outfit are gorgeous. I love the bag. It's so amazing and classy. 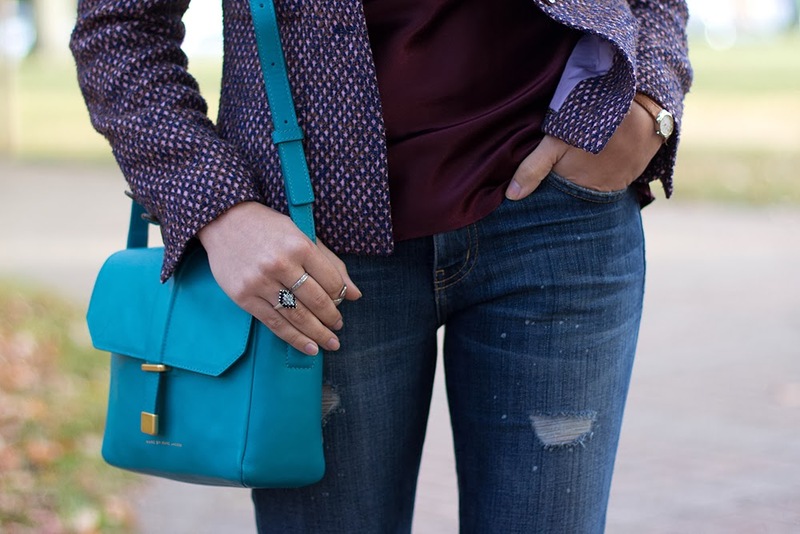 LOVE that turquoise bag against that blazer...so gorgeous! Oh i adore your bag !! I love the purple pieces with the structured colored bag. 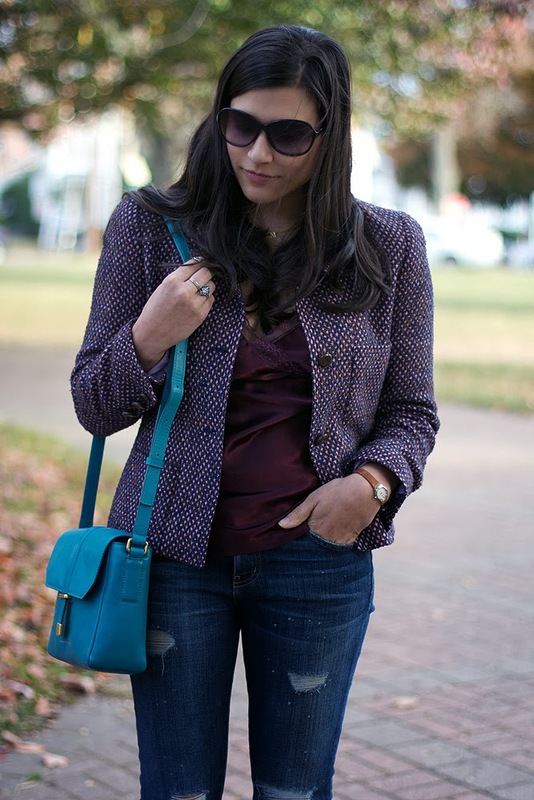 I adore your tweed jacket!